The entire BSNL services under Mangaldai Sub Divisional Office in Assam’s Darrang district, including broadband, NRC CCT, bank leased CCT, defence leased CCT, data CCT, ISDN and mobile services has totally collapsed since Tuesday evening. Allegedly it was caused because of serious damage to underground pairs of telecom cables by the excavators of the contractor engaged in the construction of the permanent drainage along the NH-15 through Mangaldai town. Talking to NE NOW, senior officials of BSNL, Mangaldai office stated that senior BSNL official physically met the staff of PWD contractor at the work site in front of the Mangaldai PS and before execution of work on Tuesday requested them to carry out the portion of the work manually instead of using excavator. 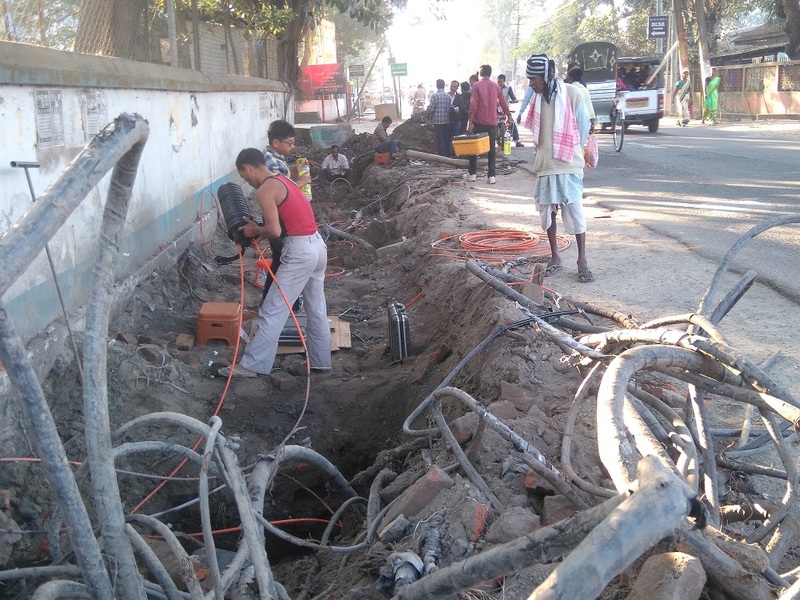 BSNL officials were apprehensive of possible damage to the valuable underground cables especially when the deadline of publishing the first draft of NRC is very close. Though the contractors’ men initially agreed to stick to the request from BSNL official, later in the evening they engaged excavator to dig the roadside thereby causing serious damage to the BSNL property and also total disruption of the telecom service almost in entire Darrang district. The BSNL authorities have assessed their losses to the tune of nearly Rs 20 lakhs. Meanwhile, the BSNL employees are working on war footing to restore the services with replacing of the damage materials. However there is less possibility of complete restoration of the service before the next couple of days, stated a BSNL official. Meanwhile the matter has already been brought to the notice of District Magistrate, Darrang in writing by BSNL authorities requesting him to take necessary legal action against the erring PWD contractor. The BSNL authorities are also mulling to lodge an FIR in this regard at the Mangaldoi Police Station against the PWD contractor.